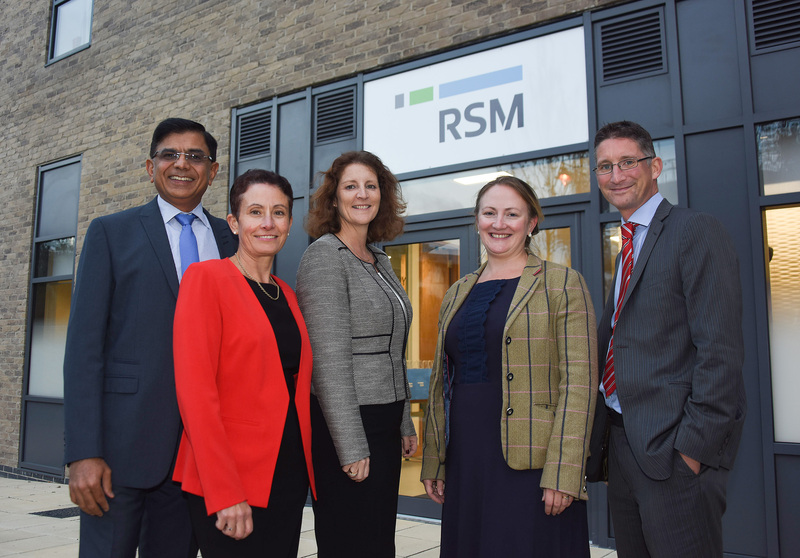 Audit, tax and consulting firm RSM hosted an event last night (October 13,2016) to celebrate the official opening of its new Swindon office. The relocation to the new premises at Hermes House in Firefly Avenue coincides with an expansion of RSM’s operations in Swindon, following the firm’s acquisition of Banks BHG accountants announced last week. The merged firm in Swindon will now comprise five partners and around 70 staff, capable of serving a wide range of local clients ranging from private individuals and owner-managed businesses to mid-market and large corporates. Commenting on the launch, Sharon Omer-Kaye, RSM’s office managing partner for Swindon, said: “Moving in to new purpose-built premises has transformed the working environment for all our people and provided a fantastic venue for client meetings and events. Pictured above: RSM partners (from left to right) Vijay Tanna, Lucie Hammond, Sharon Omer-Kaye, Elsa Littlewood and Neil Elsden.